Hi there, my name is Michelle. I have been working in early childhood for the last 15 years. I have done both nannying and In-home childcare in this time. My partner and I along with our 2 daughters aged 12 and 2 years live in parklands. I have recently finished nannying for a family that I have been with for 4 1/2 years and have decided to start up home educating again. 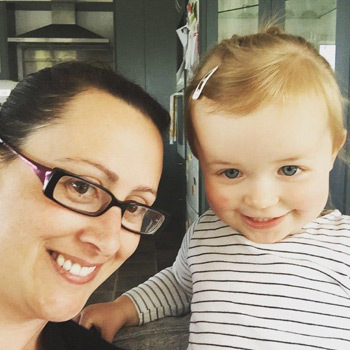 I am very passionate about home based childcare for children and believe they learn and grow within themselves when they are in an environment they feel comfortable and loved in. Developing a relationship with one carer and having a bond that is strong helps a child meet their full potential. I love the area we live in and will be utilising a lot of our local resources e.g. the beach, parks and Story Times at the library. I will take children to a music class weekly and also have an environment at home where the children can do art, role play, messy play and free play, where we know children do their best learning. I look forward to planning enriching experiences to meet children’s individual interests and needs.